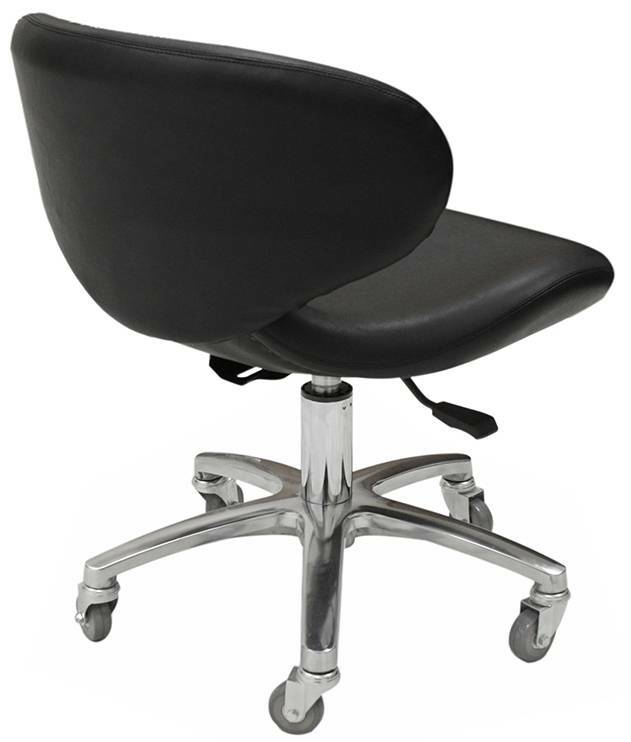 This pedicure stool features wide backrest, comfortable seat, adjustable airlift pump, heavy duty aluminum base for durability, and industrial wheels. 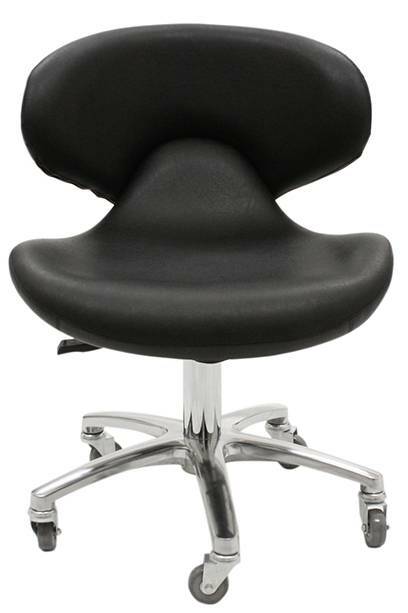 This modern pedicure stool is a great addition to your salon equipment and furniture. 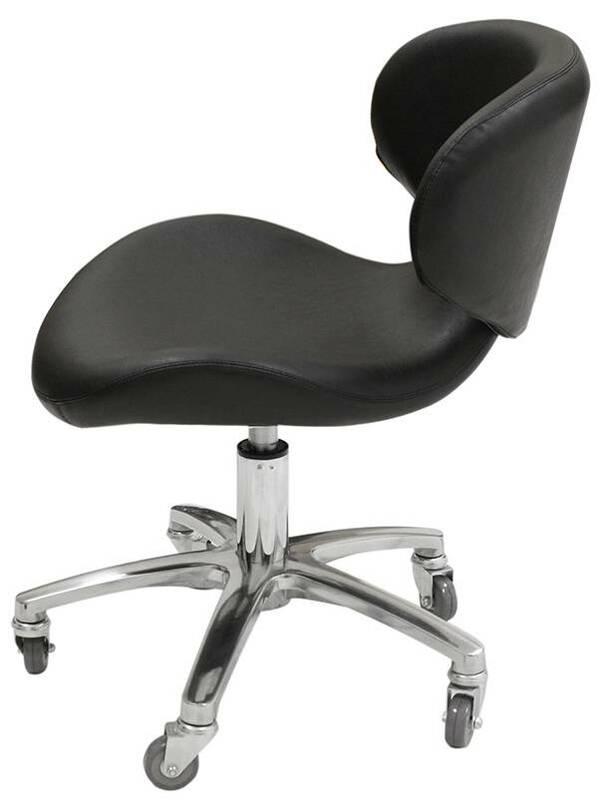 Gives you comfort and back support while doing pedicures. 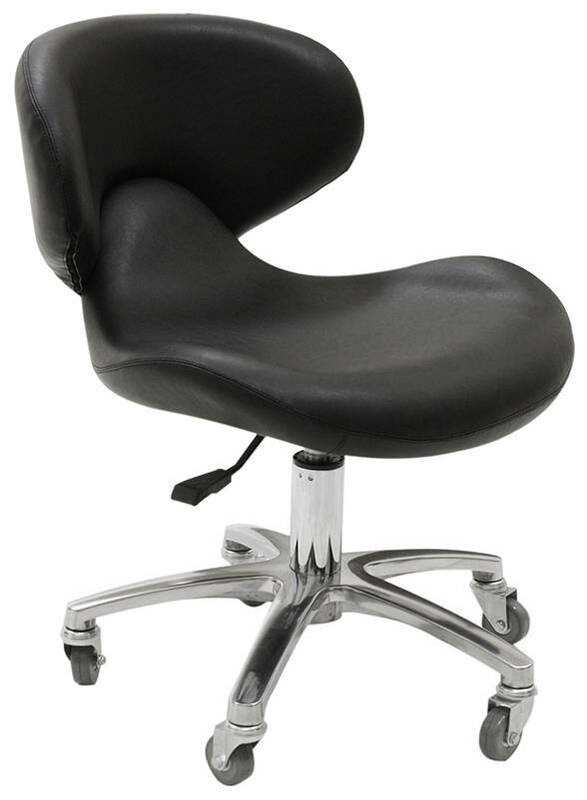 Wide backrest, seat & adjustable pump complete this pedicure stool. 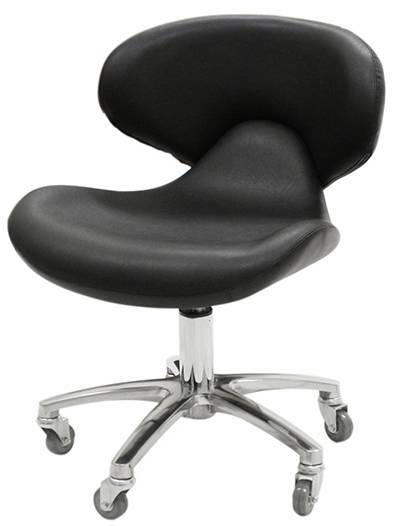 Give your nail tech the comfort they need when working. Heavy duty aluminum base for durability paired with industrial wheels. Dimension: (W x D x H) = 18-5/8" x 18-1/2" x 24-5/8"
Adjustable Height: 12-1/4" to 14-1/2"